It is no surprise that in 2016, the European Council on Tourism and Trade (ECTT) named the Kingdom of Cambodia, the World's Best Tourism Destination. It has only gotten better since then with improvements to the infrastructure and the tourism industry in particular. New resorts have been built to promote the natural beauty of the country. In fact, Cambodia took the top tourism spot not only because of its rich cultural and historical legacy including two UNESCO World Heritage sites of Angkor Wat and Preah Vihear but also because of its natural beauty. Its 23 protected areas offer tourists access to falls, forests and wildlife. Cambodia or Kampuchea as it is popularly referred to in the local language, was once at its best, a great empire. 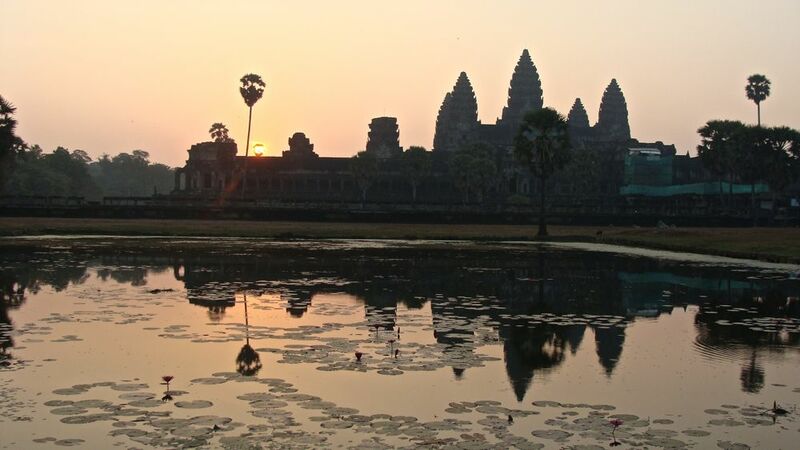 For centuries, the Khmer Empire ruled much of Southeast Asia and this power is very much evident in the ruins of the Angkor Wat and the other Angkorian temples dotting not only the province of Siem Reap but also other parts of Cambodia. 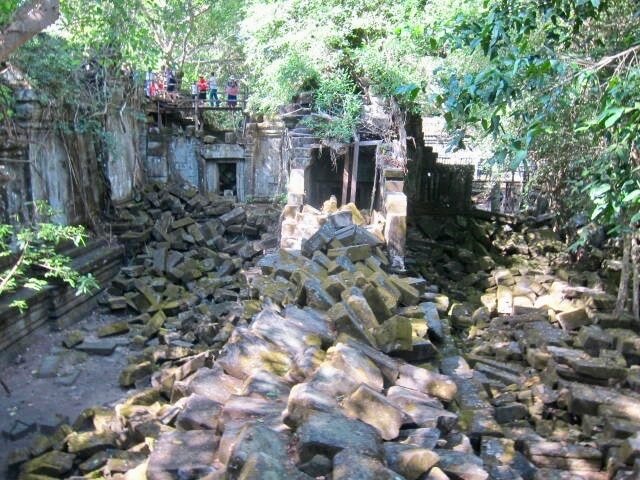 Some of these Temples are Pre-Angkorian attesting to the advanced civilization in this ancient Kingdom. Although these pre-Angkorian ruins are not as impressive as the Angkor Wat and the other temples in Siem Reap, they tell more about earlier Cambodian history and more studies are needed to understand its significance. One or two of these Pre-Angkorian temples are within easy reach from Phnom Penh or Siem Reap, the usual international gateways for tourists flying into Cambodia. A detour on a trip from Phnom Penh to Siem Reap can also sometimes bring you to one of these ruins. Others, though, can only be reached during the dry season. 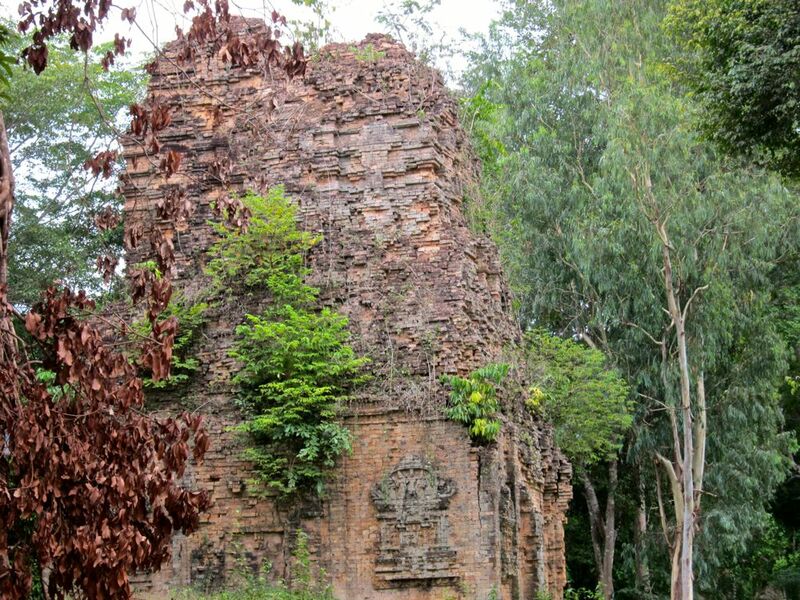 Recently, on a work trip to Kampong Thom, it so happened that the school I was visiting in Kampong Cheuteuil was right in the vicinity of the ruins of Sambor Prei Kuk so we had a lunch meeting in the area and enjoyed looking at the ruins of what was before known as Isanapura, one of the centers of the Chenla Kingdom which flourished around sixth century. In fact, the school organizes some of the tourist activities to train their students and making them earn a bit of money to support themselves. This trip took me about two and a half hours drive from Phnom Penh, one way. Cambodia is also home to the biggest fresh water lake in Southeast Asia, Tonle Sap. This is one of the richest freshwater fishing grounds. For more on the Tonle Sap, here's a good link: The Tonle Sap: Cambodia's Environmental Hotspot. Of course, you can't miss the charm of the mystical Mekong River which you can enjoy right in Cambodia's capital city, Phnom Penh. Beaches also dot the shores of Sihanoukville, Kep, and Kampot. The islands close to Sihanoukville are still pristine but slowly becoming luxury destinations with the likes of Six Senses coming in with its resort. Close by is Kampot which grows the best durian and the famous Kampot Pepper favoured ever since by the chefs of France. You can lounge in its newly developed waterfront with world class restaurants. 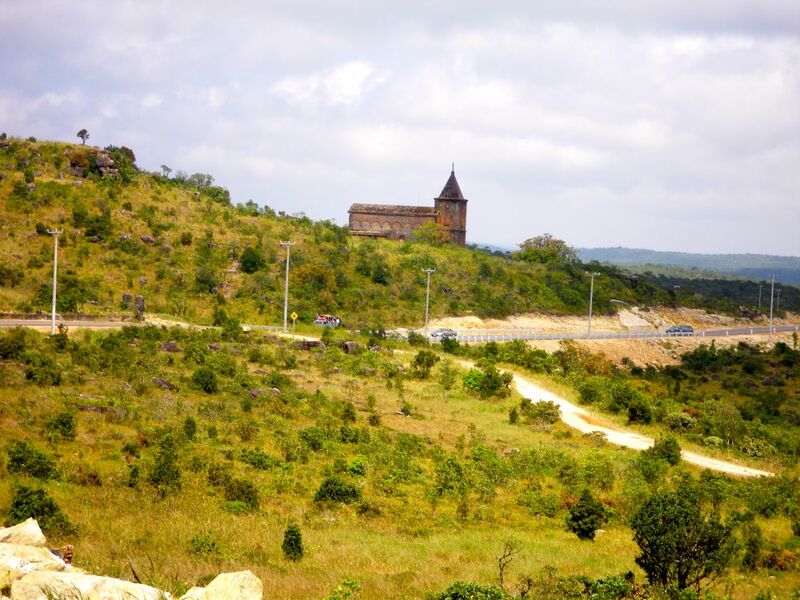 Or, you can hike up Bokor mountains where you can admire Cambodia's countryside. Kep used to be the getaway of the French during the colonial period and then, by the Cambodian rich after that. Colonial houses dot the area but its draw for many people is the seaside where you can enjoy eating fresh seafood especially crabs. 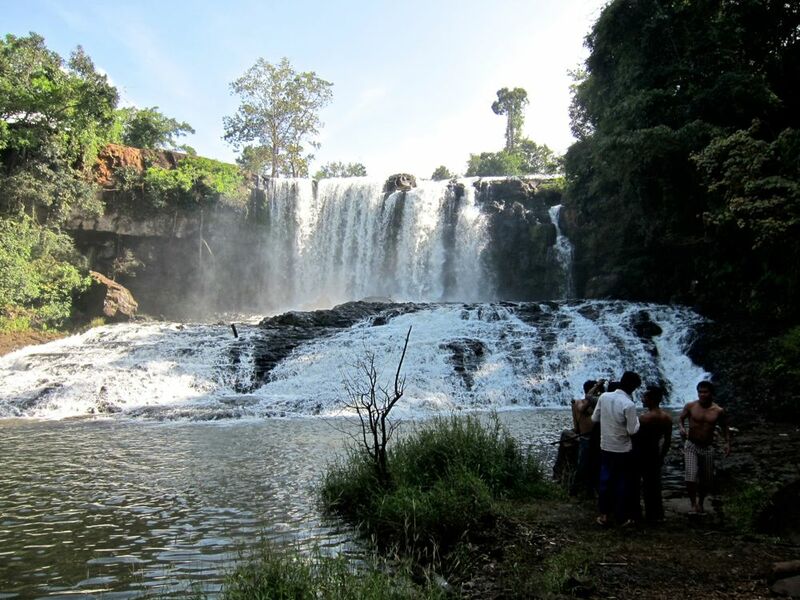 ​Move towards the hills of Ratanakiri, Mondulkiri, and Pailin where you will meet some of Cambodia's tribal communities, swim in a volcanic lake, bathe at the water falls and buy some semi-precious stones. 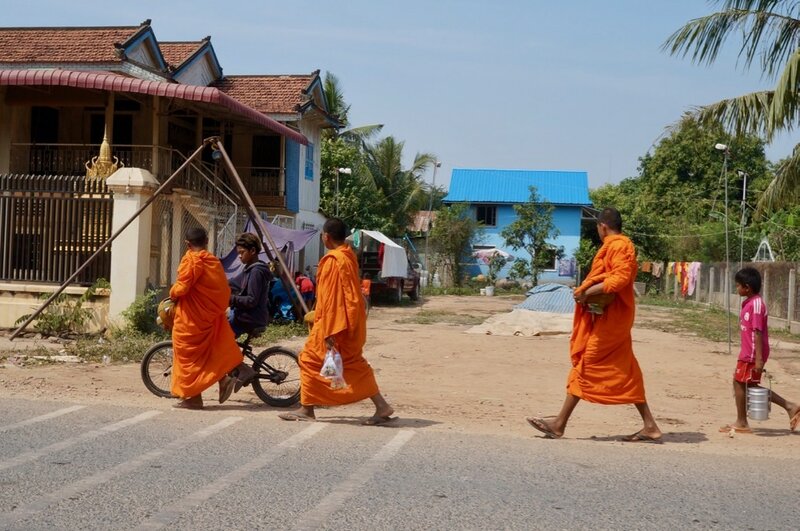 On the way to these places, you will have a peek at rural Cambodia as your transport weave through the cattle who think of the new highway as its own grazing ground. Below is the Bokor Mountains which the French used as their hill station during the intolerable hot weather months. This place is now being revived as a tourist destination and developments are almost done. Cambodia has now been elevated from low income to low-middle income country, considered to be a success story by the World Bank. Residents of some countries such as the ASEAN are exempt from Cambodian visas. The number of days allowed for stay in Cambodia varies from one ASEAN country to another so you need to check before you go. 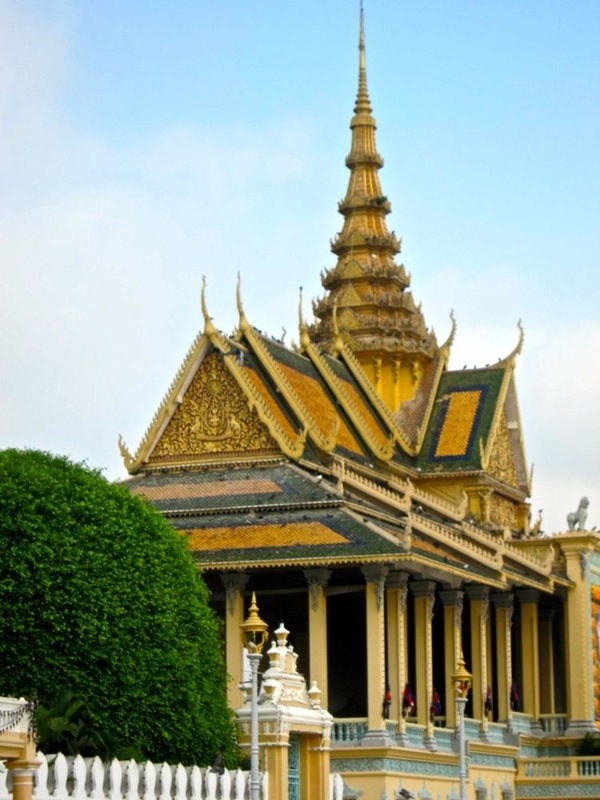 However, residents of most countries are required to have visas to visit Cambodia. 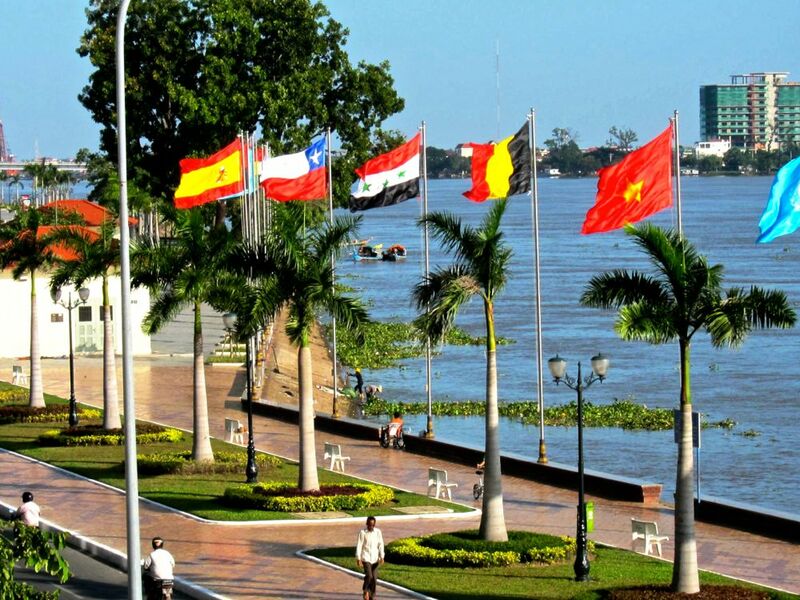 ​Visas can easily be obtained at the two major airports of Phnom Penh and Siem Reap. They may also be available in some of the land border crossing with Thailand, Vietnam and Laos. Make sure to check before you use any of these borders. You can also get an e-visa. Here's the official link. You need a 4x6 photo (they will take your photo at the visa counter for a fee if you have none), and a passport with at least 6 months validity. This will cost you $30 for a tourist visa which you can extend for a month once or an ordinary visa (used to be called business visa) for $35 which you can extend indefinitely. Cambodia just finished celebrating one of the major festivals in the Kingdom, Pchum Ben. The Wats were full as the Khmer bring their offering and pray for their dead ancestors. Here's a picture of the celebration in one of Phnom Penh's oldest temples: Wat Langka. Pchum Ben at Wat Langka in Phnom Penh. Recently made into a movie by Angelina Jolie, here's a book on Cambodia's painful history. a must read for its historical significance and for the first-hand experience that tells more of what the Cambodians experience at that time. I just couldn't put this book down when I first read it. Bring it with you when you travel to Cambodia.